There is a sail onboard that the owner believes could be the original, although unsure. The original manual bilge was removed as it was unsafe. 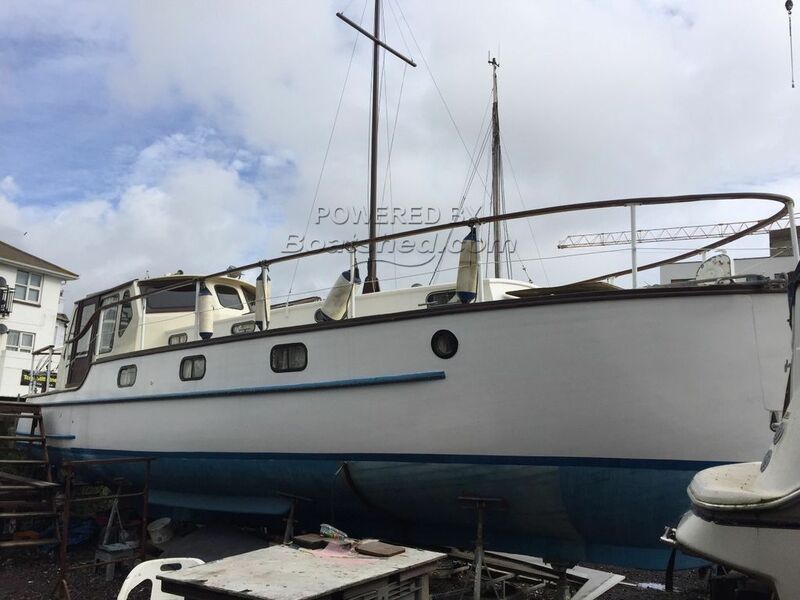 This classic Rampart 36 offers spacious and comfortable accommodation and has recently been painted and anti fouled, making her exterior smart and tidy. Currently being used as a comfortable live-aboard, she could also be ready for long-term cruising. There are plenty of storage cupboards to discover and quirky features which retain her classic characteristics. The light from the saloon highlights the beauty of her wooden interior; some needs to be restored, varnished and polished, which may bring her back to once again being the "gentleman's motor cruiser". This Rampart 36 has been personally photographed and viewed by Jules Archer of Boatshed Brighton. Click here for contact details. Please note this comments section is public. Please do not post your personal details here. To enquire about purchasing this boat, please contact the broker directly at julesarcher@boatshed.com. Please read our commenting guidelines before posting.